Wow that year went by fast! It was a busy year for me…but I finally feel like I’ve found a good balance between doing what I love and caring for who I love. My only resolution is to keep working on it…to make the people I love my priority, and the rest is icing on the cake. …I’ve kept it on my desk to read when I’m having a loooong day (is Christmas break over yet???!). It’s a good reminder to fit in the little things that matter most and forget about all the other junk. Great pictures. And such a true quote!! Happy New Year Allison wishing you and yours a wonderful 2014. Your quilts are just pure happiness! Wonderful pictures. Have a happy new year to you and your family. That quote is very true. I find myself thinking of that fact often. haha! love that quote. Just cause it is very very true. Happy New Year. It's people like you who have inspired me to learn how to quilt this past year ~ I just wanted to say thanks! and Happy New Year! yes! this is also what I want to focus on this year! you made some amazingly beautiful things this past year! 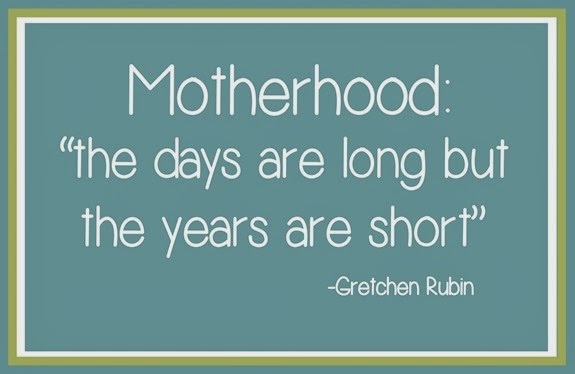 here is to another year of motherhood and creativity:)happy new year! Perfect quote! Yeah, Christmas break may not end soon here! We have snow on the way. Thursday looks like a snow day, maybe Friday too. Of course, we are forecasted with more snow Monday. Mother Nature is being quite the jokester! I think she is mad because I got a Handiquilter for Christmas. She doesn't want me to use it. Perhaps I should make a quilt for her! Happy new year! You taught me to quilt last year. So thanks for that. I used a couple of your tutorials to make baby quilts. Then I made your Shortcake pattern. I even tried a little FMQ. You rock! Happy New Year to you and your family, Allison! Thanks to you I made my very first quilt this year, the Road Trip. Looking forward to doing more next year. Have bought the Bizzy Kid and Pow Wow patterns. Happy New Year! 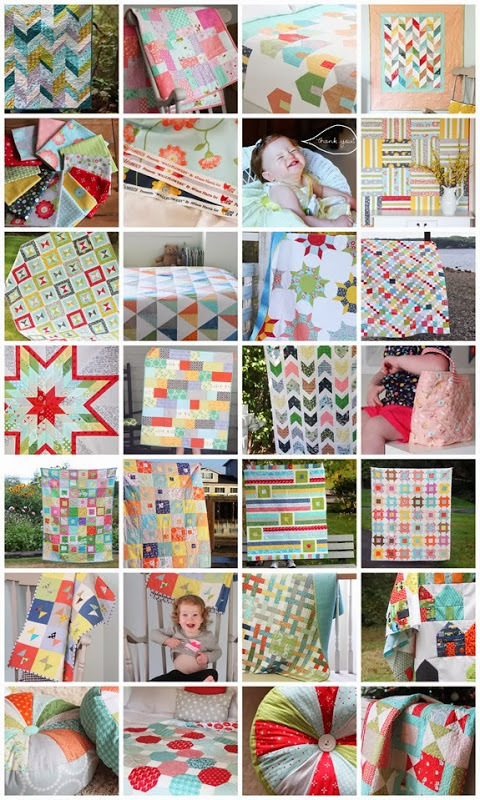 What a stunning quilting year you had – hope this next one is just as wonderful! My Suburbs quilt is back from Kathy and I am binding it today. Yippee! Happy New Year to you and your family. Your quote is all too true. My children are grown and it seems like just yesterday they were small. I also wanted to thank you for the Wallflowers pattern. I made it as a gift for my youngest daughter and her husband, and it turned out perfectly. And they love it! Thanks so much for the inspiration! I love that quote. Thanks so much for sharing it ;) Happy New Year!! Beautiful pictures! Happy Happy New Year!! Oh my goodness!! Did you make all of that this year?! You are amazing. I bow to your skills. "the days are long but the years are short" — isn't that the truth! I swear I was endlessly changing diapers and wiping noses the other day, but suddenly I have a 5th grader and a 7th grader now (who wipe their own noses and tushies, thank God). Did you make everything in that photo collage just last year? Very impressive! Getting ready to start your pow-wow quilt. Keep 'em coming in 2014. Your hard work and blog are quite inspirational! Hi! That balance is something I find hard, too. Love the quote – will remember it! Just to say I don't comment, but read and really enjoy your blog and your lovely work! A very Happy New Year to you! The quilt 5th row down 3rd along jumped out at me….not seen it before. Can I find a post or tutorial on it somewhere please? I have a jelly roll that looks like it would fit quite well with that design….please help!